Furniture makers want to do their part in conserving Indonesia's forest by creating sustainable products. Indonesia - JEPARA, Indonesia (6 February, 2013)_Next month, the Indonesian government will have fully phased in legislation requiring all furniture companies exporting to the European market prove sourcing of legally harvested timber. While this has been touted as a step in the right direction for conservation, for many small carvers the high costs associated with the new certification scheme are simply unaffordable. The Center for International Forestry Research, with support from the Australian Center for International Agricultural Research and the Indonesian Ministry of Forestry’s Forest Research and Development Agency (FORDA) have been researching sustainable growth models for towns with forest-related industries like Jepara in Central Java. They are encouraging Jepara’s carvers to develop associations, as well as grow wood locally. Much of the wood for Jepara’s furniture industry is sourced from the forests of Java and Eastern Indonesia. 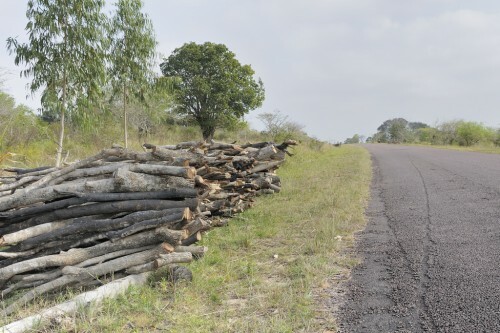 Due to undocumented and illegal cutting and trading of forests in the past there and in regions of Africa and South America, international legislation has been instituted to verify that export timber come from legal sources. Under a recent piece of legislation– the Timber Legality Verification System (SVLK) – the Indonesian government is attempting to comply with new international treaties. “SVLK will reduce illegal logging if it is well implemented. The question is how to implement it and who will bear the cost,” said Herry Purnomo, head of CIFOR’s Furniture Value Chain research project. The certification is mandatory and has been applied in industrial forest concessions (HTI), production forest concessions (HPH) and community plantation forests (HTR). However over the three years of the certification period, carvers are expected to pay 70 to 90 million rupiah (US$7,000 to 9,500) in certification and audit fees – costs that middle and small-scale producers in Central Javanese carving towns like Jepara will struggle to meet. Then there are the documentation fees. Between when a tree is felled in the forest, transformed into wooden furniture and shipped to Europe, there are many stages. Under SVLK, furniture producers exporting to the EU market must have documentation to prove legality for each of these stages and therefore pay for many different types of paperwork. Steep costs for the region of Central Java where the standard minimum wage is about US$76 a month. In other parts of Indonesia though, the middle class is growing rapidly, as is their purchasing power. The newly monied are buying cellphones and fixed gear bicycles. Could furniture made from sustainable wood sources be another luxury item that Indonesians are keen to buy? And could this domestic market be one that certification-strapped businesses could turn to? For the moment, the domestic market is so small that large-scale “green furniture” producers such as Jepara-based chair company, Mandiri Abadi, don’t want to bother with it. “Our model is geared towards mass production, processing in thousands, says Hendra Sasmita, Director of the Forest Trust certified furniture company. “Indonesia’s market is still mostly custom made. Buyers only want two or three samples. Instead we want to look at diversifying into various other materials and being a one stop shop for our foreign clientele,” Sasmita says. For smaller businesses in Jepara, the few domestic green buyers seem more of a bright spot amid the costly sustainability certification and narrowing markets abroad. These companies have five to six employees and a handful of product designs. For them, the fact that Indonesia’s green furniture market is filled with custom orders, and therefore their niche, makes it an excellent opportunity to get a bit of extra money while coping with SVLK certification. “For small companies [like mine] this custom market allows us more market share within Indonesia,” says Sutrisno, owner of a small relief carving company. But, as Sutrisno points out, there are ways to take the monetary pressure off the costs of SVLK certification. Small companies can group together and apply for a single SVLK permit, explains one local association member, Legiman Arya. While the government has allocated Rp 3 billion (US$316,856.78) from the state budget to help small-scale producers obtain SVLK certification, Arya explains that there is a catch for his current collective of 15 companies. If one member doesn’t comply with SVLK standards, the whole association still gets penalised. However, Legiman says he thinks there is no other option to reduce costs but to participate in the program. “We want to ensure the world that furniture from Jepara, and wood from Indonesia is legally cut,” he says. And Legiman is not alone with wanting to brand Jepara as a green source of wood. His co-collective member, Sutrisno, wants to go the extra step and ensure that forests are grown locally. “Here in Indonesia, we have the second largest forest in the world so we should do our part in conservation by creating sustainable products,” he said. These issues and more will be discussed at the Value Chains of Furniture, other Forest Products and Ecosystem Services Symposium on Thursday February 14 in Bogor, Indonesia. More information here. CIFOR’s work in Jepara is part of the Forests, Trees and Agroforestry Programme and is supported by the Australian Center for International Agricultural Research.